fat studies – Run For Your Life! According to Becky, over at The Art of Healthy Living, there are even more yoga trends than I first thought. Below she talks about what’s going to be hot in the yoga world during 2018. You’ve heard of dog yoga (the experts like to call it ‘Doga’)…well the next level up is goat yoga (does that mean it’s called ‘Goga’?). Basically it’s a load of people doing yoga outside in the presence of some goats. Riiiiiight….and the benefit is what exactly? Well, the organisers say that the goats help create more feel good hormones, lower anxiety, provide comfort and reduce loneliness. OK so let’s get this straight, you’re doing downward dog and a goat jumps onto your back and that is….relaxing?..pleasant?..painful?…The goats are certainly having a lot of fun jumping around in a human playpark, but we’re not entirely convinced that the risk of being pooped on by a goat is all that worth it! Really? Yes…really! Originating in Germany, the land of beer…but perhaps not yoga, the idea is that by swigging from a bottle of beer whilst practicing yoga it helps to encourage participants to relax more in an environment they feel more familiar and at home with i.e. the pub. We think this could really take off, especially in terms of getting more men out there trying yoga. What next…? Gin Yoga? Jäger Yoga? Proseccoga? Grab your partner and get up close and personal with them whilst flowing through some yoga positions. Take a fitness friend by all means, but if you don’t know them well you’re certainly going to after one of these sessions! We think yoga is verging on the tantric anyway, so we see this getting big in 2018 among the trendy fit couple crowd. Apparently couple yoga improves levels of communication, encourages trust and is the ultimate way to add some sparkle back into a relationship. The ultimate in core stability, float yoga is all about perfecting those tricky yoga positions whilst balancing on what is effectively a surfboard. Can be done on or off the water, depending on how good you are and whether you mind getting wet, but if you want next level yoga then this is deffo it. We think this will become a huge thing in 2018, especially as all the trendy fitsters are trying it out in LA…it’s only a matter of time! 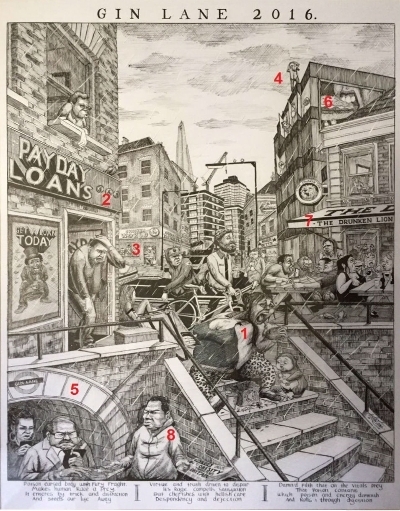 A new piece of art commissioned by the Royal Society for Public Health (RSPH) re-imagines William Hogarth’s classic 1751 cartoon Gin Lane. 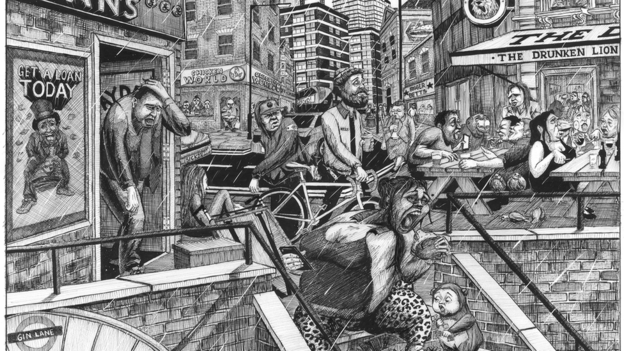 It depicts a society preoccupied by junk food rather than gin. This is pretty amazing timing, considering this is the focus of my Disease and Society lecture this week! 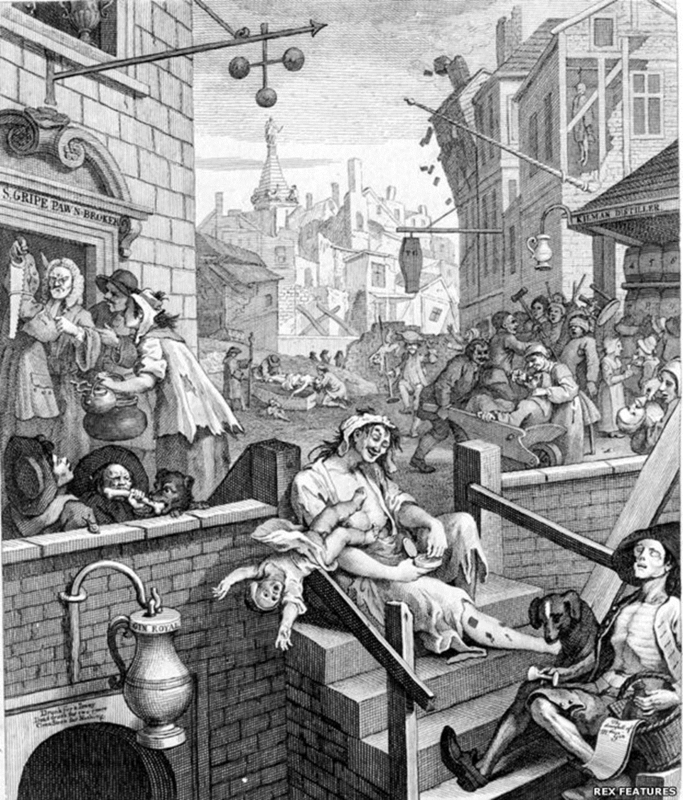 According to the BBC, the original showed the damaging effects of a gin craze sweeping London as well as a population suffering from deadly infections common at the time. Cholera. Syphilis. You name it. 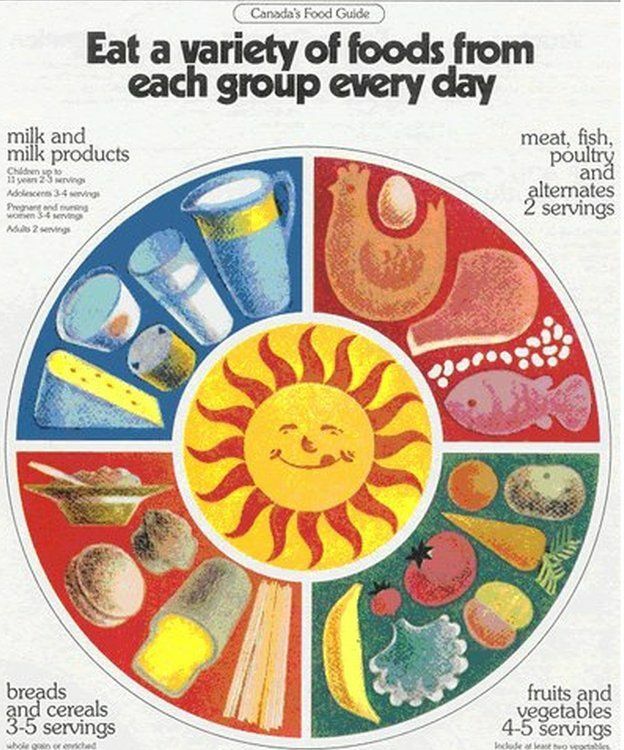 In contrast, Thomas Moore‘s new picture shows how obesity and mental health issues are today’s big health threats. 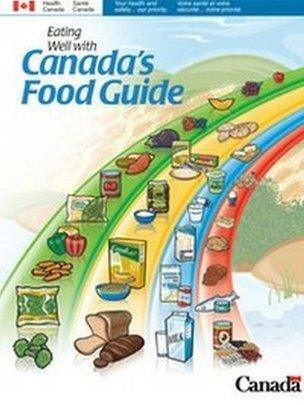 The updated version shows a mother salivating over yummy junk food, which she is also feeding her child. In contrast, Hogarth’s 18th century version focuses on a mum more interested in gin and snuff, who is suffering from syphilis sores. Another stark difference is the prominent payday lender shop, replacing the pawnbrokers of 1751. (Just need a betting shop in there!) Moore’s modern version highlights the popularity of high street chicken shops today, while Hogarth’s work shows people almost skeletal with starvation. 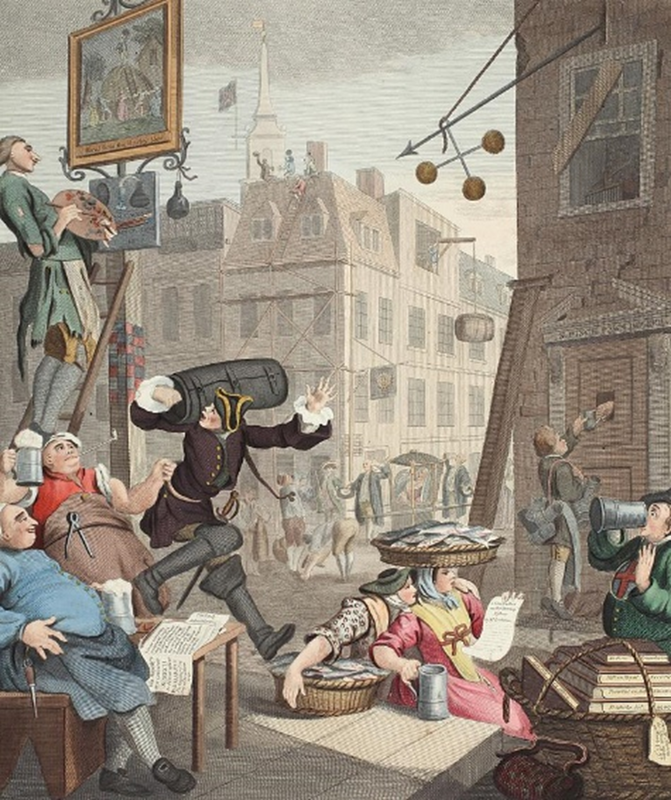 The overall scene is the same street as presented in the original, but has been developed and modernized so that it is representative of a typical street scene in London, or indeed anywhere in the UK today. The central character has been reinvented. Where the original depicts a mother who is drunk and too pre-occupied with taking snuff to care for her baby, Gin Lane 2016 instead shows the mother preoccupied with eating junk food, which she has also fed to her child. A pawnbroker is one of the significant and thriving businesses in the original piece. In the modern version, this has been replaced by one of the payday lenders which have become a feature of many high streets, and are perhaps a 21st century equivalent. The desperation of one of the customers leaving the payday lender represents the mental ill health associated with debt. The chicken shop is a representative feature of the obesogenic environment which is at the heart of Gin Lane 2016 – busy, vibrant, and packed full of glum looking customers. The man contemplating throwing himself off the top of a building is a nod to the original in which a barber is seen hanging, having committed suicide because his customers could no longer afford to have their hair cut. Suicide is now the single biggest killer of men under 45 in the UK. The original arch has been converted into Gin Lane tube station, with commuters glued to their smart phones – a depiction of the busy, potentially lonely existence of many Londoners today. Junk food adverts provide another reflection of the ubiquitous power of marketing in our obesogenic environment. The distillery from the original piece has become a busy pub, replete with rowdy drunk customers. A news vendor hands out a paper with another headline about the threat posed by obesity. Advertising that promotes an unhealthy body image will be banned on London’s subway network, in a move that signals a backlash against suggestive marketing in public places. Starting next month, Transport for London will not allow ads that cause pressure to conform to “unrealistic or unhealthy body shape,” London Mayor Sadiq Khan said in a statement. Concerns were raised last year when an advertisement featuring a model in a bikini asked “Are you beach body ready?” The ad promoted a weight loss supplement and prompted 378 complaints to the Advertising Standards Authority last year — one of the most complained about ads in 2015. The authority has the ability to ban ads that are likely to cause widespread serious offence or harm once they come into public space.